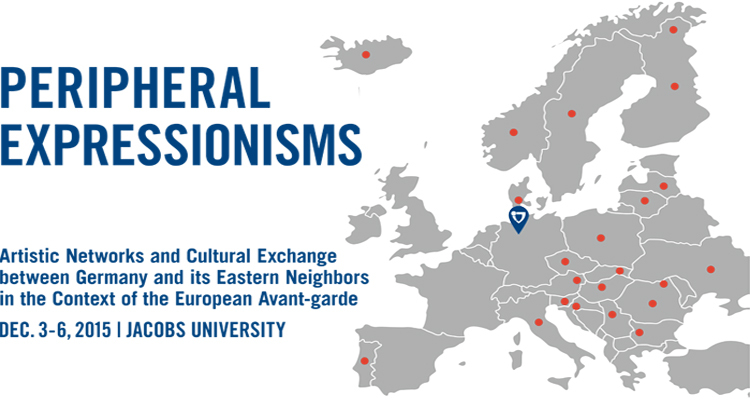 “Peripheral Expressionisms” is an interdisciplinary research project that focuses on the transnational formation, dissemination, and reception of German Expressionism in other European regions such as Scandinavia, the Baltics, Central and Eastern Europe, the Balkans, and the Iberian Peninsula in the first half of the twentieth century. The project brings together scholars in the fields of art history, literary and cultural studies at universities, research institutes, and museums in order to establish a professional network for exploring the artistic relations, cultural encounters, and collaborative networking strategies that have shaped modernist art practices in Europe throughout the first half of the twentieth century and been fundamental in creating a European cultural identity. The workshop is funded by the Representative of Culture and Media of the Federal Government of Germany and Jacobs University, Bremen. The speakers explore the associations with which Expressionism was discussed in the particular European art centers and cultural regions and examine new, alternative forms of community and collective identity-making that have stimulated artistic practice and cultural communication across Europe, and thus formed a basis for cultural interaction, artistic cooperation and competition, and intellectual exchange. By focusing on the spread of Expressionism in the peripheral regions of continental Europe, the symposium examines in depth this specific form of cultural encounter over space and time, but also assesses the political, social, and cultural dimensions of the formation of Expressionism as instigators of cultural knowledge transfer. FUNDED BY the Federal Government Commissioner for Culture and the Media and Jacobs University, Bremen.